SUPER 8, the debut album, is out !!! LUX is the product of a chance meeting in Paris between noted blues/rock guitarist Sylvain Laforge and New Yorker Angela Randall. 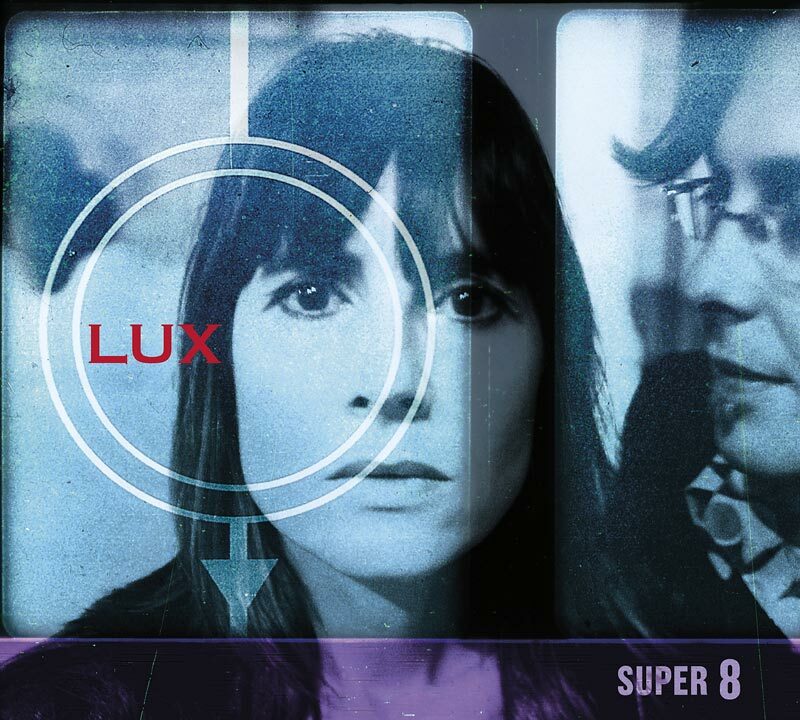 They have just released their debut album “SUPER 8” which was recorded at Studio Black Box and produced by Peter Deimel (The Kills, Anna Calvi, Last Shadow Puppets, Theo Lawrence and The Hearts…). The duo’s first EP, also recorded at Studio Black Box and released in 2014, enabled them to tour and play in such well-known venues as Le China, Supersonic, La Boule Noire, Café de la Danse and The New Morning. The band was invited to play at the Cornbury Music Festival in Oxfordshire in July 2016, did an acoustic tour in New York in the summer of 2017 returning to the city again this past spring to present the album which was released in the USA in May. Having played the big festivals and all the major venues in Paris and abroad with the Rita Mitsouko, LUX is a more intimate affair for Laforge and one where he is no longer the guitar-for-hire but, as he puts it, ‘the boss’. A strong believer in the purity and tradition of American blues, Laforge felt an immediate chemistry with Randall’s understated lyrics and shortly after their first meeting, they were writing songs and gigging together. Their self-described “Velvet Rock” is a mix of alt-folk, American and Brit rock and blues that combines elegant lyrics, thrilling vocals and consistently stunning guitar work. Imagine Natalie Merchant wandering into Villa Nellcote when the Stones were recording Exile on Main St. and you’ll get a flavour of who they are and that seductive allure of punchy guitar and wounded lyrics. Laforge feels strongly that all songs should work with just guitar and voice and, similarly, Randall’s spare lyrics tap into that same traditional aesthetic uncomplicated by layers of production or studio gimmickry. As a purely acoustic act, their songs and performances were the gentler side of Americana but with bass (Julien Boisseau of Jesus Volt) and drums behind Laforge’s stellar guitar work, LUX is playing a rockier sound. The new recordings breath new life into their repertoire as well as kickstarting a catalogue of new songs, new performances and new followers. Une rencontre inattendue à Paris entre Angela Randall, chanteuse et auteure New-Yorkaise et Sylvain Laforge, guitariste de blues/rock a donné naissance au groupe LUX. Leur premier album enregistré au Studio Black Box sous la direction artistique de Peter Deimel (The Kills, Last Shadow Puppets, Ana Calvi, Theo Lawrence and the Hearts…) est dans les bacs. Après avoir joué dans les gros festivals et les plus grandes salles avec les Rita Mitsouko, puis avec Catherine Ringer, LUX est un projet plus personnel pour ce guitariste français de renom. Fervent partisan de la pureté et tradition du blues, une alchimie immédiate se crée entre ses propres compositions et les élégantes paroles de cette américaine. Le groupe est invité au Cornbury Music Festival en Angleterre en juillet 2016 et a tournée en acoustique à New York lors d’été 2017 et ce printemps 2018. Ils aiment décrire leur musique comme du « Velvet Rock ». Leurs chansons sont portées par un jeu de guitare électrisant, marqué par les riffs et mélodies inspirées. La voix unique et émouvante d’Angela soutient la force de ses textes. « Velvet Rock” nous est venu récemment et naturellement car il réunit en deux mots les éléments de rock, folk, et pop qui font partie de nos chansons. Dans “Velvet Rock” le “Velvet” fait un clin d’oeil à la fois à New York, ma ville natale, les paroles en anglais, le touché velours et l’élégance urbaine de New York et de Paris. Et puis il y a le “Rock” qui est résolument garantie par le jeu de guitare. Le “Velvet Rock” qui en résulte décrit le style, le look et même le son organique de notre groupe“. Imaginez la chanteuse Nathalie Merchant se trouvant par hasard à la Villa Nellcote avec les Stones enregistrant Exile on Main Street. Là vous aurez le parfum de ce qu’ils font avec l’allure séduisante d’une guitare incisive et le lyrisme des textes. Partant de l’idée que toute chanson devrait fonctionner simplement avec une guitare et une voix, les paroles en anglais de LUX se lient avec cette même tradition esthétique. You can listen and download LUX on our Official Bandcamp page. FIRST ALBUM “SUPER 8” OUT NOW !! Say hello! Say something. Say anything you want.